cool83 Wrote:No, the disc is in two pieces, as if cut in half, like slicing bread. The heavy plastic ring(or other more suitable material)would sandwich between the two disc halves, fitting in the grooves in both ring halves. it's just a dream really, but I would pay $75.00 for a competition Identity disc. Why would you want two halves? Sorry is there is something simple I am missing. I don't think you want to halves. I think that the disk is one piece, but if you were to cut it in half, that's what you'd find. Am I right? Yes. The key to the disc is the center ring. It needs to be heavy and return to it's original shape quickly. This will allow it to bounce off walls and keep most of it's forward motion. Again, the key is the material for the center ring, or core. Diving suit glue would hold it all together, making a complete disc. It may need a metal core material. My brain is hurting. We all could try making one to see how it goes and come here and say! Try heavy rubber for the core material. It would bounce, and it would hold its shape. My dad suggests sheet rubber. And my dad knows this sort of thing. He can build almost anything. ShadowSpark Wrote:Try heavy rubber for the core material. It would bounce, and it would hold its shape. My dad suggests sheet rubber. And my dad knows this sort of thing. He can build almost anything. So the rubber part would stick out the edge like the light up part on the deluxe one? And why don't you see if your dad can make one for you? Also will the disc ever really come back or is the idea more for fun? No, if we did it like that, it could seriously hurt some one. I don't think this one would light up. trekking95 Wrote:And why don't you see if your dad can make one for you? No money for the materials for one, and no free time for another. trekking95 Wrote:Also will the disc ever really come back or is the idea more for fun? Haha ... BBox ... I love it. He sure seems confident about a sequel to Legacy. 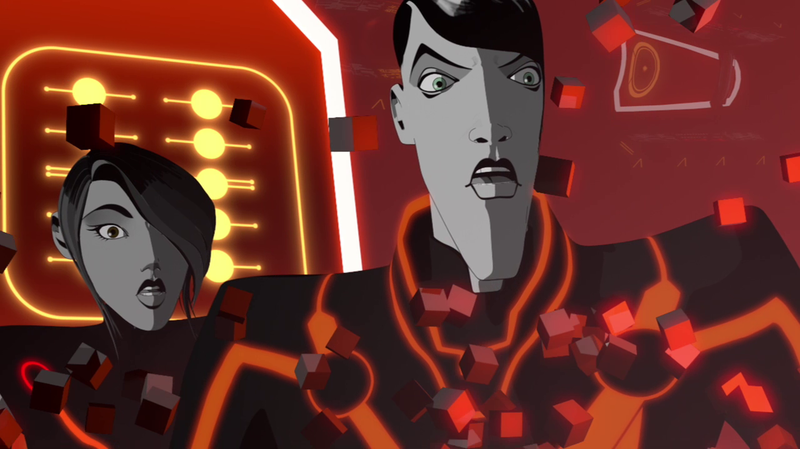 It may be time to officially get my hopes up, that TRON has been rescued from the Sea of Simulation by Zuse and GEM who obviously had enough time to escape the destruction of the club. Cindy Morgan posted on Facebook yesterday that TR3N is a go. I found out via the very cool YORI LIVES group on Facebook, which I subscribed to. There's TONS of cool behinds-the-scenes stuff on there, i.e., the computer Flynn was using to hack into ENCOM in the first film, was an Apple 3, etc. RenegadeProgram Wrote:Cindy Morgan posted on Facebook yesterday that TR3N is a go. I found out via the very cool YORI LIVES group on Facebook, which I subscribed to. There's TONS of cool behinds-the-scenes stuff on there, i.e., the computer Flynn was using to hack into ENCOM in the first film, was an Apple 3, etc. Can you link to it? All I get is this group with Bob Plissken's name all over it. Also, any word of Cindy's involvement?